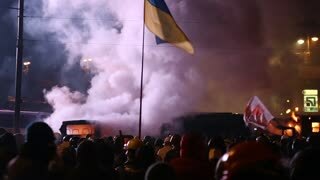 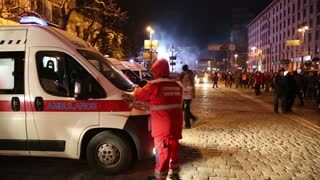 UKRAINE, KIEV, JANUARY 19, 2014: Thousands of anti-government protesters clashed with riot police, burning police buses and attacking with stones, sticks and fires after tough laws were passed. 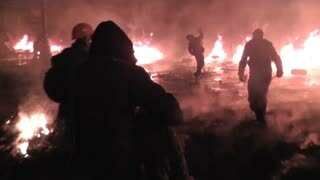 Police uses batons and CS spray on people during a protest against the inauguration of President Donald Trump, Washington DC. 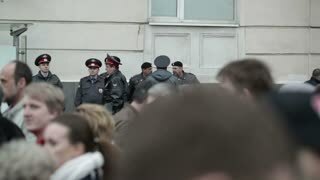 Environmental activists march in a parade on Earth Day. 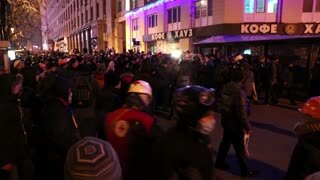 America January 2017 - Riot police and batons march forwards during protests against the inauguration of president Donald Trump, Washington DC. 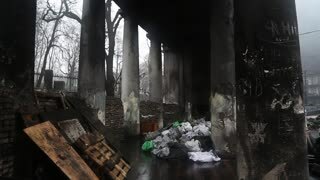 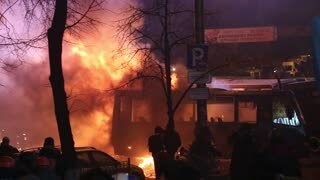 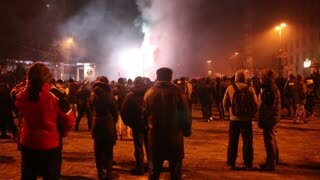 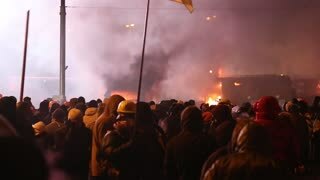 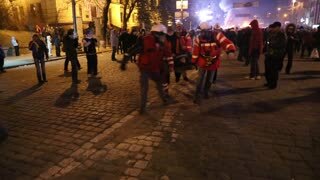 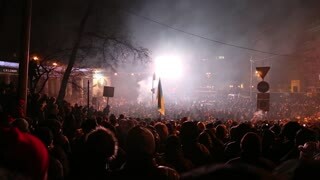 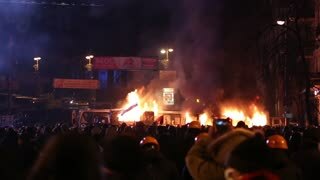 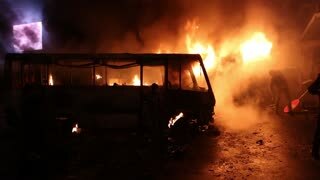 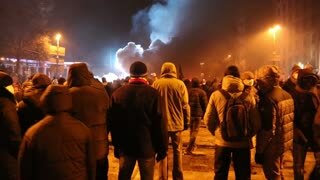 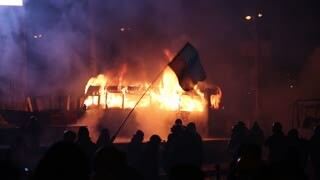 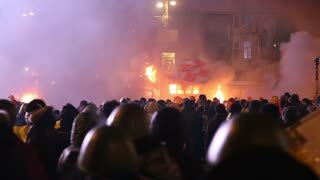 The streets of Kiev in the fire. 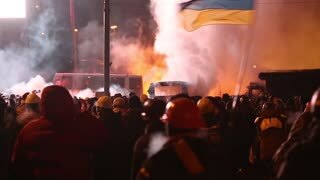 Protesters throw stones and set fire to tyres on the barricade, the police use water cannons in January 2014.